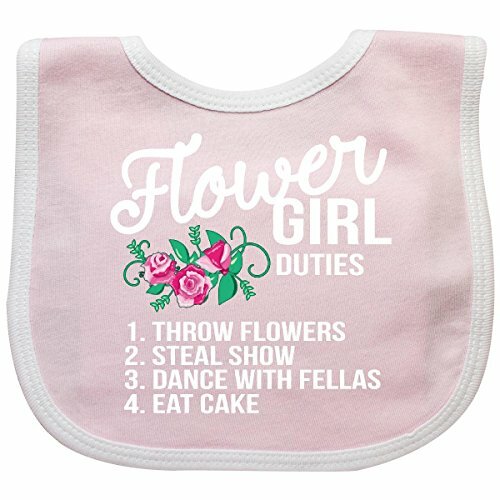 Flower Girl Wedding Duties Baby Bib with a flowers and cute and funny list of "responsibilities" is the perfect idea for your flower girls in your spring wedding. If you have any questions about this product by inktastic, contact us by completing and submitting the form below. If you are looking for a specif part number, please include it with your message.